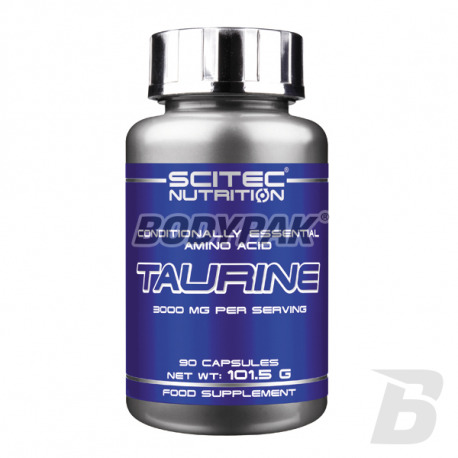 Amino AcidsScitec Taurine - 90 kaps. 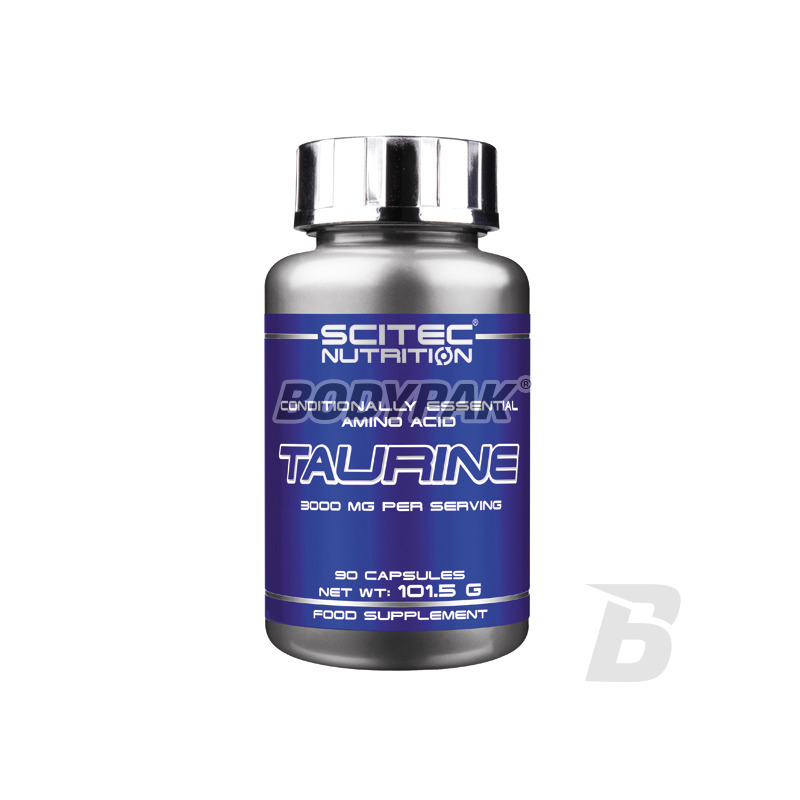 Scitec Taurine - 90 kaps. Conditionally essential amino acid-which is formed from methionine and cysteine. It supports the synthesis of new proteins and exerts anti-catabolic! 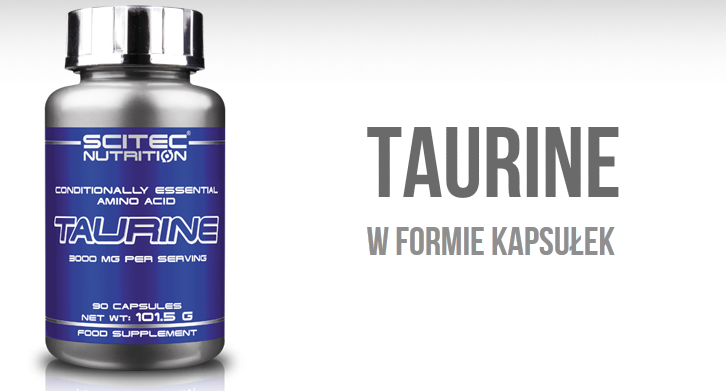 Taurine - an amino acid conditionally-essential resulting from methionine and cysteine. It occurs in the body as a free amino acid or an ingredient of simple peptides - in blood platelets and bile, where bile acids produces fatty acids taurocholowe. This amino acid is not part of constituent body proteins, however, it is necessary in the process of their transformation. Taurine blocks the feeling of fatigue, which can perform more effort. It occurs naturally in foods of animal origin, but is virtually absent in plant foods. Therefore, the level Taurine may be lower in vegans than in the group on the standard diet mixed. It is clear that taurine is a very important organic acid involved in many metabolic processes in the body. Many people are aware that taurine is commonly used as an ingredient in energy drinks.